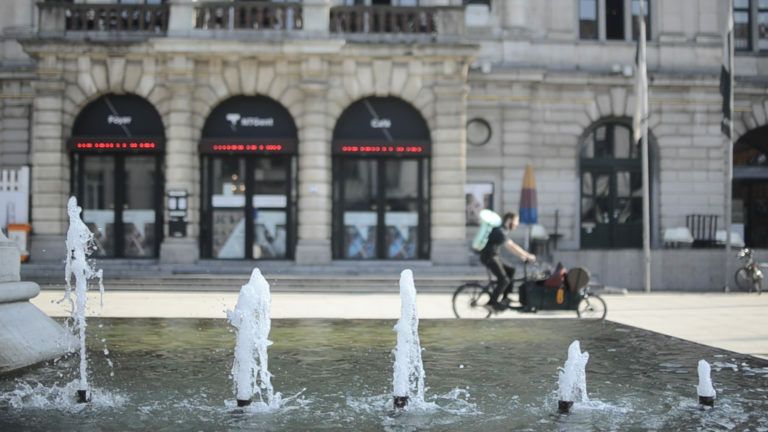 Ghent is internationally connected with a dense motorway network, train lines and bus services and within reach of several international airports. We strongly advise IHS51 participants not to rent a car! IHS51 is proud to announce a partnership with Lufthansa Group. Get considerable reductions on your travel from any destination in the world to IHS51 with Lufthansa One Worlds partner airline! To make a reservation, please click onwww.lh.com/event-flight-bookingand enter the access codeBEZQYFQin the “Offer for discounted flights” area. This will open an online booking platform that will automatically calculate the discount offered or provide you with an even better offer if another promotional fare is available. These promotional fares are also available through your IATA / ARC travel agent. Travel agents can obtain ticketing instructions by sending an email tolufthansa.mobility@dlh.deand providing the access code as a reference. Paris and Amsterdam airports are connected to Ghent by the European rail system and several bus companies (appr. 3 hours travel). Check out the ‘Train/Public Transport’ section below for your onward journey. From Charleroi Brussels South; Lille (F), Eindhoven, Rotterdam (NL) Airports: 1,5 to 4 hour bus services. Belgian trains do not require reservation and tickets are valid on all B-rail trains. Mind: the class of your carriage is marked on the door. Ghent also has excellent and affordable train connections with all Belgian cities and with France (Thalys) /Germany (Thalys/ICE)/United Kingdom (Eurostar) and the Netherlands (Thalys and IC trains). Several bus companies run international coach connections to all major destinations in the neighbouring countries. See www.b-rail.be and www.busbud.com for the best connections. Upon arrival in Ghent, change to the De Lijn bus/tram network (1,5-2€/ride) or take a taxi (appr. 15€ tot the city centre). Uber does not operate in Belgium! -Update your Satnav system before you come to Ghent. Older versions might get you in trouble. -the complete city centre is a heavily controlled 30km/h zone. -The symposium venue is situated at the corner of the pedestrian zone of the Ghent city centre. It is easy to drive into the pedestrian zone without being aware (minimum fine = 150€). Entrances to these zones are marked with red painted lines and trafic signs. Vendors carrying goods by car to the exhibits should send us their travel plans and license plate numbers, in order to receive a temporary passing permit. –All on-street parking around the Conservatory is reserved for residents! Use public parking lots if you want to park nearby the symposium venue. : Closest parking lot is Reep. Other public parking lots within walking distance are Vrijdagmarkt, St-Michiel, Zuid, Kouter. Average day fee for city center public parking lots is appr. 27€. -abundant on-street parking is available at 6€/day around the School of Arts Bijloke Campus (Kluyskensstraat and surroundings). This is 15 minutes walk from the Conservatory. We advise day participants to consider this option. Most hotels have private parking lots -enquire!